MANILA, Jan. 20, 2018 – The Coca-Cola Company announced today that it is fundamentally reshaping its approach to packaging, with a global goal to help collect and recycle the equivalent of 100% of its packaging by 2030. • Investing in the planet: By 2030, for every bottle or can the Coca-Cola system sells globally, we aim to help take one back so it has more than one life. The Company is investing its marketing dollars and skills behind this 100% collection goal to help people understand what, how and where to recycle. We will support collection of packaging across the industry, including bottles and cans from other companies. The Coca-Cola system will work with local communities, industry partners, our customers, and consumers to help address issues like packaging litter and marine debris. • Investing in packaging: To achieve its collection goal, The Coca-Cola Company is continuing to work toward making all of its packaging 100% recyclable globally. The Company is building better bottles, whether through more recycled content, by developing plant-based resins, or by reducing the amount of plastic in each container. By 2030, the Coca-Cola system also aims to make bottles with an average of 50% recycled content. The goal is to set a new global standard for beverage packaging. Currently, the majority of the Company’s packaging is recyclable. “We would like to encourage everyone to recycle as part of a circular economy, where plastic, glass, and aluminum are reused or repurposed as many times as possible, rather than being used once and then thrown away. We look forward to working with the industry, local communities, NGOs, government organizations, and even our critics to highlight this critical issue. When we all come together to help solve this problem, collectively we will make a bigger difference than if we simply act alone,” said Winn Everhart, President & General Manager of Coca-Cola Philippines. The Coca-Cola System in the Philippines has already started on the journey towards achieving this goal through their active participation with the Philippine Alliance for Recycling and Materials Sustainability (PARMS) – a multi-stakeholder coalition supported by the National Solid Waste Management Commission (NSWMC) and composed of the top corporations in the fast-moving consumer goods (FMCG) sector. Recently, Coca-Cola and other members of PARMS announced their commitment to work with government and non-government organizations in developing a sustainable solid waste management program in the country, starting with its plan to build a state of the art materials recovery and reprocessing facility. 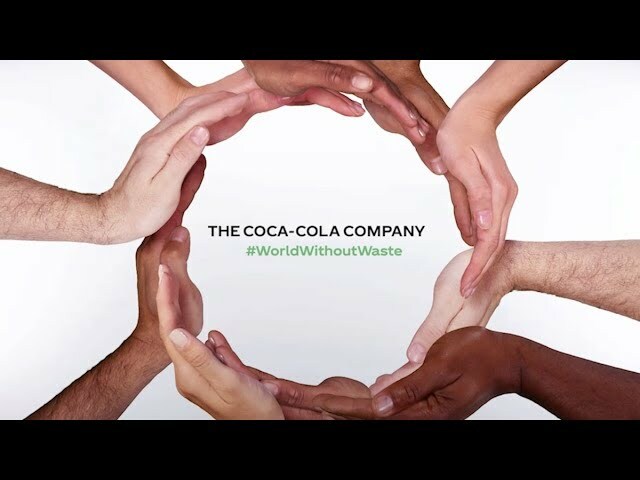 To learn more, visit Coca-Cola Journey at http://www.coca-colacompany.com/stories/world-withoutwaste.